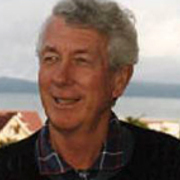 Ian Cross was born in Masterton in 1925 and educated at Wanganui Technical College. At school he was only really happy when he was writing and studying English. Journalism was an obvious career path and he joined the Dominion in Wellington as a copy boy in 1943. Four years later he departed with a colleague for Brazil where there were said to be opportunities for English language journalists. Instead, they ended up in Panama surrounded by covert organisations, espionage and gun running. In 1949 he returned to New Zealand joining the Labour Party newspaper, The Southern Cross, as a Press Gallery journalist. He was soon back at the Dominion where he became Chief Reporter in 1953. A Nieman Fellowship in Journalism at Harvard University followed in 1954. As part of a creative writing component he wrote a short story about a boy given a birthday present which started a fight between his parents and ruined the birthday. Inspired by a television drama starring James Dean he revisited the story to see if it could be told from the boy's point of view and adapted to a longer format. Back in New Zealand he continued with the novel drawing on a murder trial he had covered as a 19 year old journalist in Wellington in 1944. The accused - a 13 year old boy charged with shooting his mother and wounding his sister - was found guilty but no motive was ever established and this left a lasting impression on him. The novel was The God Boy, centred on a boy called Jimmy Sullivan caught up in his parents' disintegrating marriage and complaining to God about it. It was published first in the United States (where the New York Times called it a "brilliant first novel") and then Europe before appearing in New Zealand in 1958. Suddenly Cross was a major new writer but an outsider in the literary world and this caused resentment in some quarters. In 1959 he was the recipient of the first Burns Fellowship. A year spent at Otago University confirmed for him that fulltime writing wasn't financially viable with a family to support. He took a job in public relations with Feltex but maintained an active interest in literature. As president of PEN from 1968 to 1972 he headed the campaign to establish the Public Lending Right Scheme to reimburse authors for use of their books by libraries. He had his first encounter with television in 1964 as presenter of Column Comment (forerunner of Fourth Estate), where he scrutinised the local press until 1972. He also appeared on the current affairs programme Compass. In 1973 he was a surprise choice as Listener editor and he would look back on his tenure there as his most satisfying working years. He oversaw a doubling in readership and brought in a new generation of writers and cartoonists including Tom Scott, Burton Silver, Geoff Chapple, Rosemary McLeod and Gordon Campbell. He encouraged Tom Scott to become a political columnist but the move brought him into direct confrontation with Prime Minister Robert Muldoon who banned Scott from his press conferences on the grounds that he was a satirist and not a reporter. Cross supported Scott and it was the start of an increasingly problematic relationship with Muldoon. In 1976, The God Boy was again in the national spotlight - as New Zealand's first full length television drama (adapted for the screen by Ian Mune and directed and produced by Murray Reece). As the centrepiece of TV One's first birthday celebrations it attracted widespread critical praise (making the front page of the Evening Post). Cross was very happy with the interpretation but also pleased to have nothing to do with it. He had had more than enough of Jimmy Sullivan at the time. In 1977 he became chairman of the NZBC. He inherited an organisation in severe financial trouble: funded by a licence fee failing to keep up with rising costs. Cross was convinced that these pressures combined with a determination by government to make television pay its own way and return a profit would undermine the public service broadcasting ethos he was committed to. To reduce overheads he amalgamated TV One and South Pacific Television in 1980. He fought an ongoing battle with Prime Minister Muldoon who was openly critical of what he perceived as anti-government bias in TV One's news and current affairs departments. Relations with the Opposition were equally fraught, with David Lange saying that one of the first tasks of a Labour Government would be to make Cross "history". There were other controversies during this time including the decision not to show Death of a Princess and coverage of the matches during the 1981 Springbok Tour. Cross resigned in 1986. Looking back on his time in broadcasting in his memoir The Unlikely Bureaucrat he said, "I did my best for as long as I could, even though on occasions I felt like a man trying to guide an elephant with a toothpick, while the animal reacted as though an axe was being taken to it." He retired to Raumati where he has written two further novels, and a second memoir (Such Absolute Beginners), without emulating the success of The God Boy that his fiction writing will always be judged by. He reprised his role as on-camera media critic on Fourth Estate in the late-80s. He remains a fierce opponent of New Zealand's television model, ruing both the lack of a non-commercial channel and what he regards as an over-commercialisation and resultant dumbing down of the medium.